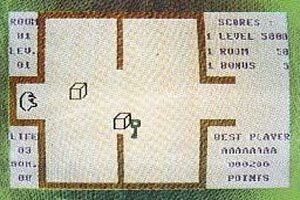 Q-Castle is an old C64 game which was mentioned in an old magazine, along with a screenshot (Though we assume this, as the game details comes from the entry currently in Gamebase 64). 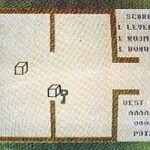 From the looks of things, this would have been a kind of Adventure (Atari) and Gauntlet clone with crude graphics. It hasn’t surfaced at all anywhere, and we believe that the game is infact unreleased… maybe the company went under before it could surface? We know nothing about the game itself, the author or any other details… so its going to be tough work trying to find much on this one. But maybe you can help? The screenshot is so ugly, I wonder why the publisher bothered to put an ad of this game.